Still on Scar’s trail, Kimblee figures out that he headed north and follows him there. 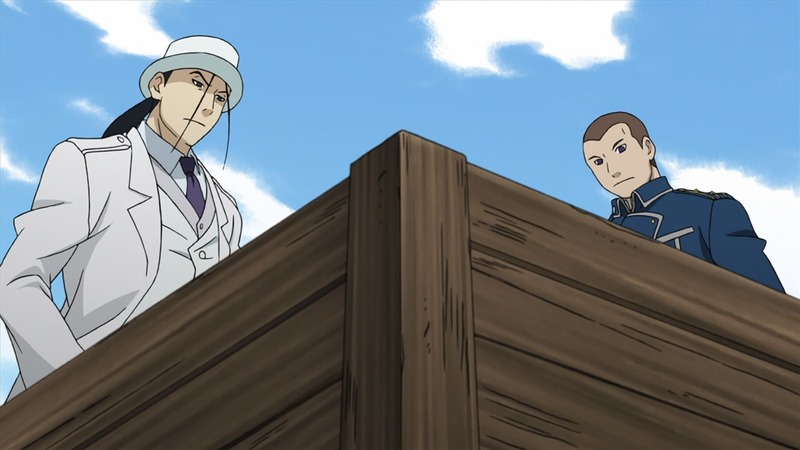 When Kimblee gets word that Scar and Marcoh are on a train, he boards it by having another train run alongside it, but instead of finding Marcoh, he finds Yoki there. 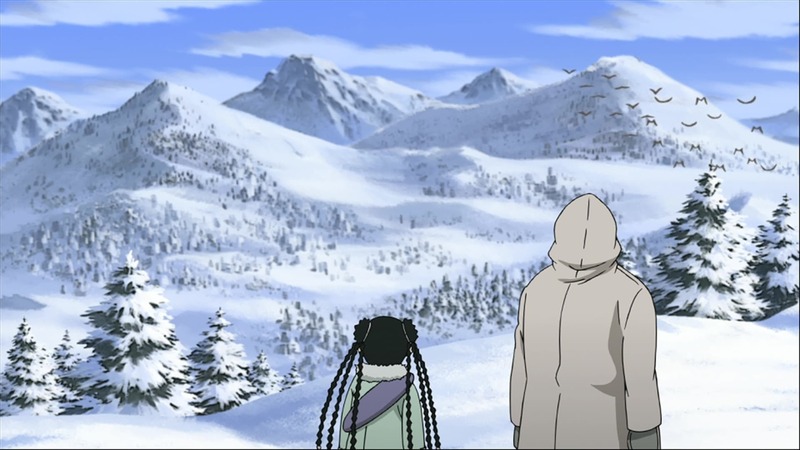 Kimblee is then attacked by Scar, and the two recognize each other from their previous encounter years ago. Before Kimblee can really do anything, Scar impales him with a metal pipe, and this leaves Kimblee no choice but to use his alchemy to separate the two parts of the train, with Scar on the other part. Realizing that something happened, the train’s operators stop it and find the injured Kimblee, but he orders them to keep going. Unbeknownst to Kimblee, the real Marcoh is heading north on foot with May Chang. The two eventually reach the shack where Scar’s brother’s research is located, and they find it intact.